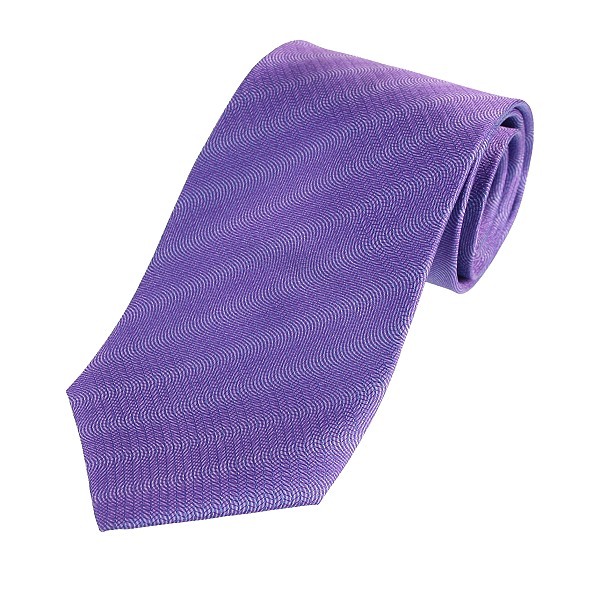 A beautiful purple coloured silk tie with a wavy stitched design in a subtle iridescence. With a narrowed neck band for a perfect knot. Made in Italy. Deep Purple Ladies Scarf . A straight scarf in a beautiful deep purple colour with irregular patch detail. Large purple cotton handkerchief square with white spots and double striped border.